Whether it’s giving fledgling families the confidence to start their journey, or inspiring bucket lists to pause time with fast-paced teens, we help parents to craft the story of their family’s lifetime as they travel. Modern families are overwhelmed with life, and with tasks. The pressure on every member of a family to perform has never been more acute, and it can seem impossible to slow down enough to notice your children growing up. 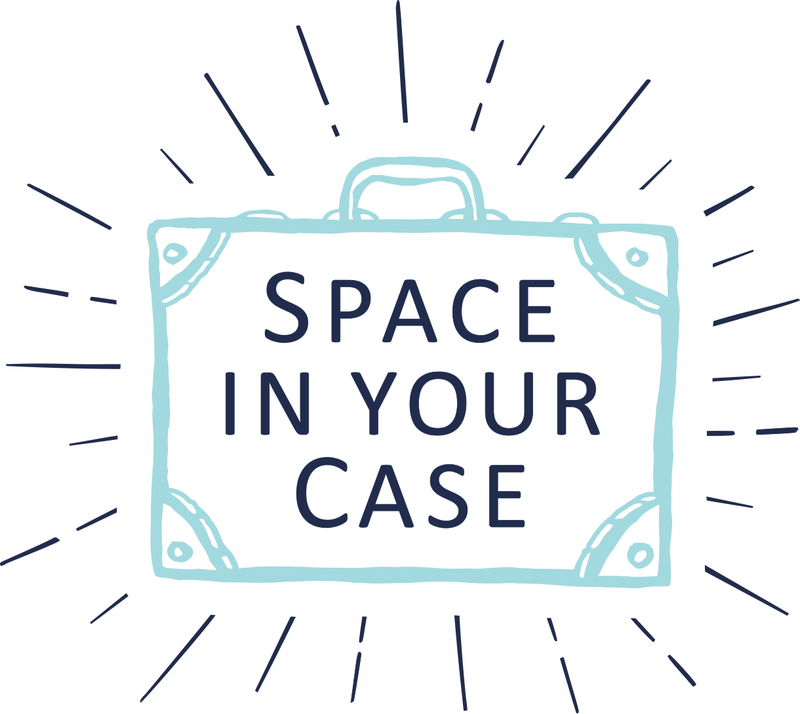 At Space In Your Case we have a vision: families spending time together, creating traditions and memories that bind them together over the course of a lifetime. Whether your schedule and budget allow for local adventures, or fabulous far-flung fortnights, we want to inspire you to weave your family’s story through travel. We share with you the travel partners that we trust, the holidays we’ve loved, and parenting hacks that will make it all easier to achieve. Between us, we’ve travelled with babies, felt the fear – and conquered it; we’ve managed to relax, with boisterous toddlers in tow; we’ve tackled the school system and made it work for us; and we’ve even inspired teenagers to switch off their phones. Come with us as we help you find ways to slow down, switch off, and reconnect with your family. Helen’s love affair with a suitcase began 25 years ago when she took a chance on a dodgy-looking bus heading out of Hong Kong, and stumbled across what remains, to this day, the best meal of her life. The thrill of new discoveries kicked in, and 5 continents later she still gets a buzz as she zips closed her bag and heads out to adventure, be it Rio or Tenby that awaits. Of course, young children put a safety net on her destinations for a while, but at 13 and 10, Maddie and Evan are now much more competent travellers, and Helen is enjoying adventure again, this time as a family. The kids devoured their first ski trip, and both changed their favourite dinner choice on a recent trip to Cambodia! Penny is passionate about nature, getting kids outdoors, culture, food and travel. She relocated to the Peak District to rent out her own holiday places after one too many country holidays she didn’t want to come home from. Previously a media and film teacher, Penny is a full-time blogger and travel writer. Her current blog Parentshaped was Best Family Travel Blog Runner-Up in the Family Traveller awards. Her multi-award-winning first blog was sold to an online retailer. As one third of Team Honk HQ Penny achieved three awards for social media and fundraising campaigns with Comic Relief, highlighting their work from projects in the UK, Ghana and Tanzania. Penny has written for Family Traveller, Nottingham Post and regularly contributes to Day Out with The Kids and Avis Inspires. She lives with her husband, son (2008) and daughter (2006) and a greyhound. Penny has covered Sensatori resorts in Turkey, Santa’s Lapland, Princess Cruises, Kids Solo with Air France, Amsterdam with KLM, the Lake District with Sykes Cottages and filmed adverts with Visit Wales. The Alexanders were Carnival Cruise Lines ‘funnest family’, appearing in a series of promotional films. Helen: Treating my husband to birthday dinner on a private boat, off Rangali Island in the Maldives. So over the top extravagant, but the memory of a lifetime! Penny: Collapsing in a fit of hysterical giggles on a Danish supermarket floor aged 8, with my younger brother, after we found a packet of biscuits called Bums. We had to be dragged out by our embarrassed parents, hyperventilating and with tears rolling down our cheeks. Helen: Getting my bag stolen on a beach in Spain. I carefully packed everything I owned into my bag, including keys, shoes and underwear. I woke up 2 hours later to find my bag gone. It was a huge test of my Spanish trying to explain at the police station why I was walking the streets barefoot in a bikini! Penny: We only left one night of accommodation for our honeymoon road trip around Canada unbooked. We ended up in a motel out of Psycho. We laugh about it now. Helen: Spare knickers. You never know when a holiday’s going to be so good you want to stay an extra day! Penny: Lavender hand cream to soothe away the stresses, my camera, a notebook and a real book.